In the run-up to the BooktubeSFF Awards there are a bunch of interesting weekly topics, the BooktubeSFF Babbles, to get the SFF community at large discussing all things science fiction and fantasy. This week's topic is favourite urban fantasy books/series. While there are quite a few mainstream urban fantasy series I could recommend, I'm going to wave my proudly South African flag around and highlight two urban fantasy books by South African authors. I'm sure Lauren Beukes needs no introduction. Zoo City won the 2011 Arthur C. Clarke Award and put South African speculative fiction in the international spotlight. Lauren Beukes has an astonishing talent with words which she uses to conjure up astonishingly vibrant and fascinating worlds. Her work depicts real world problems that are still prevalent in South Africa – the homeless, drug abuse, xenophobia and discrimination and gives it a fantastical twist. In Zoo City she creates a vivid version of contemporary Johannesburg. A Johannesburg where magic and muti is real and where Hillbrow (the Zoo City in the title) is a haven for ‘animalled’ people. The ‘animalled’ are people who due to their sinful deeds are magically tethered to an animal companion. It is believed that the animal is a physical manifestation of their sins – their cross to bear for all the world to see. Separation from their animal companion causes extreme pain so they are forced to take the animal with them wherever they go. The main character, Zinzi December, in one of the ‘animalled’ (a zoo in slang). She has a sloth on her back – literally! It isn’t all bad though, each ‘animalled’ has a special talent. In Zinzi’s case it’s the ability to find missing things. She uses this talent to make a living by finding lost items, charging a reasonable fee for their return. That’s of course when she isn’t busy running a 419 scam in order to pay off her drug debts. Read the full review. Paul Crilley is a Scotsman living in South Africa. 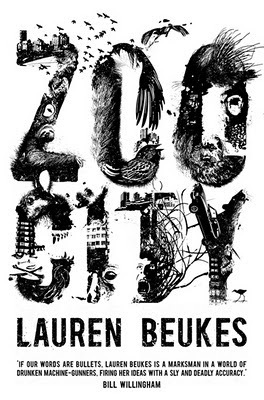 His novel, Poison City, is the fantastical love child of Supernatural and a Lauren Beukes novel. Part urban fantasy, part crime novel this is a pure twisted reading delight. Poison City is filled with a cast of memorable, snarky characters. Gideon Tau is not your typical hero. Haunted by the death of his daughter he is a broken man struggling to deal with loss; his only true purpose is his quest for justice. He sees ‘n job that needs doing and then simply does it. His spirit guide, Dog (just ‘Dog’) is the perverted spiritual successor to Discworld’s Gaspode - a quite literal boozehound. Dog loves nothing more than getting drunk and watching TV, only occasionally deigning to provide a helping paw. Oh, and he seems to love fire a bit too much... And lastly there’s Armitage, the no-nonsense head of the Delphic Division, with a wicked sense of humour she is overly protective of her domain and doesn’t suffer fools easily. 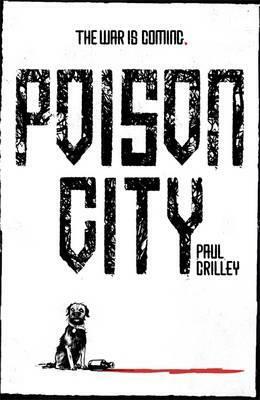 The major theme in Poison City is corruption in all its forms. There are corrupt politicians and officials, the law is perverted for personal gain, even people's beliefs are corrupted and ultimately humanity itself proves to be a corrupted blight on the world. You’ll never be able to look at humanity in quite the same way again. It turns out that even in a world filled with supernatural creatures, humans are still the greatest monsters. If you read it for no other reason, read it for Dog. He steals the show and makes this one kickass read! Read the full review. 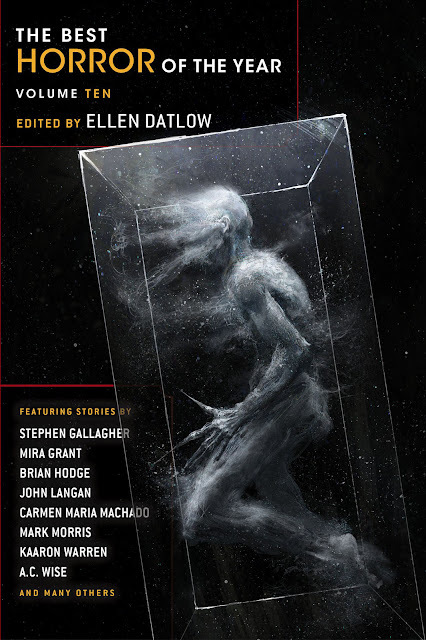 While scrolling through Twitter (as one does) I came across this gorgeous cover for The Best Horror of the Year Volume Ten, the forthcoming horror anthology edited by Ellen Datlow and published by Night Shade Books. I'm a huge fan of these anthologies and I'm excited for this one based on the cover alone. For more than three decades, Ellen Datlow has been at the center of horror. Bringing you the most frightening and terrifying stories, Datlow always has her finger on the pulse of what horror readers crave. Now, with the tenth volume of the series, Datlow is back again to bring you the stories that will keep you up at night. Cover art by Chenthooran Nambiarooran. This is a collection of fourteen stories of murder, mayhem, pathos, and philosophy, all set in the world of the Broken Empire. Within these pages, you will find tales of men such as Red Kent, Sir Makin, Rike, Burlow and the Nuban, telling of their origins and the events that forged them. There is Jorg himself, striding the page as a child of six, as a teenage wanderer and as a young king. And then there is a tale about Prince Jalan Kendeth - liar, cheat, womaniser and coward. To the new reader, welcome to a lawless world where wit and sword are the most useful weapons, and danger lurks as much in candle-lit palaces as in dark alleys and dense woodland. To those who have already journeyed with Jorg, we hope you will enjoy renewing old acquaintances with your favourite characters. When I finished Emperor of Thorns earlier this year it left me craving more. I put off finishing the series for so long, and now it was finally done. 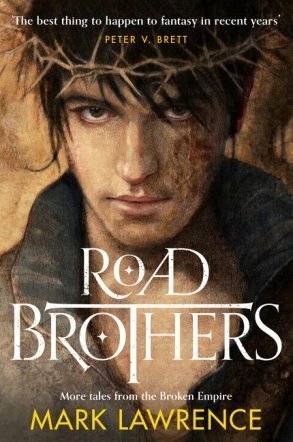 Jorg's journey was at an end and it was time to leave that world behind, but then by a miraculous twist of fate a copy of Road Brothers arrived at my door. Road Brothers collects fourteen stories set in the world of the Broken Empire, thirteen of which focus on Jorg and his band of brothers. The stories revisit some of the most memorable (and some less memorable) characters from the series, expanding on their backstories and providing a better glimpse into what shaped them into the characters we know and love (or loathe). And of course Jorg makes a triumphant return with stories featuring him in various stages of his life. Sleeping Beauty - Jorg faces remnants of Builder technology in a a fairy tale mash-up with homage to Goldilocks, Sleeping Beauty and Rapunzel. The only difference is that this Sleeping Beauty burns with a fiery vengeance. The Weight of Command - This story focuses on Burlow, one of the lesser liked characters from the series, but still manages to provide an endearing glimpse into his life as he gets caught up in a challenge over leadership. Mercy - A tale of revenge and how restraint is the only escape from the hunger for vengeance. Choices - Gorgoth tries to care for his family while forced to make tough decisions. A truly touching backstory which plays with the concept of free will and destiny. A tender, heart-breaking glimpse at the humanity of ostensibly monstrous beings. No other Troy - Jorg besieges a city and triumphs in a way only he can - by being utterly audacious and ruthless. The Secret - A delightfully simple tale about assassination with a deadly twist. Know Thyself - Possibly the most poignant story in the collection. A glimpse into the life of Jorg and his younger brother before true tragedy befalls them. A tale that, unwittingly, sets the groundwork for all that follows. Even rationing myself to only two stories a day, Road Brothers came to an end far too quickly. There are some amazing stories collected here. They provide even more depth and substance to familiar characters and some expose new facets entirely. It was a true pleasure to return to Jorg and his band of brothers. With their journey now truly at an end I can't help but feel bereft all over again. I would advise newcomers to hold off on reading Road Brothers until they have finished the Broken Empire series. There are a variety of spoilers and the whole experience will be so much better for it. You'll be thankful to have one last treasure to unearth once Jorg's journey is done. Road Brothers is a welcome return to the world of the Broken Empire series. The stories collected here offer a glimpse into the world of Jorg and the Brothers, expanding on their tales in one last bittersweet reunion. Who could pass up one final journey with Jorg and his band of brothers? This is an absolute must for fans of the series! 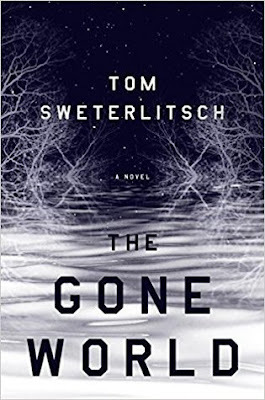 Today sees the release of The Gone World by Tom Sweterlitch. I'm a sucker for time-travel stories and by the sound of it this science fiction thriller promises to be a real cross-genre treat filled with all the good stuff. Shannon Moss is part of a clandestine division within the Naval Criminal Investigative Service. In western Pennsylvania, 1997, she is assigned to solve the murder of a Navy SEAL's family--and to locate his vanished teenage daughter. Though she can't share the information with conventional law enforcement, Moss discovers that the missing SEAL was an astronaut aboard the spaceship U.S.S. Libra--a ship assumed lost to the currents of Deep Time. Moss knows first-hand the mental trauma of time-travel and believes the SEAL's experience with the future has triggered this violence. In the cramped quarters of the city of Yenara, humans, orcs, mages, elves and dwarves all jostle for success and survival, while understaffed watch wardens struggle to keep the citizens in line. Enter Rem. New to the city, he wakes bruised and hungover in the dungeons of the fifth ward. With no money for bail - and seeing no other way out of his cell - Rem jumps at the chance to join the Watch. Torval, his new partner - a dwarf who's handy with a maul and known for hitting first and asking questions later - is highly unimpressed with the untrained and weaponless Rem. But when Torval's former partner goes missing, the two must learn to work together to uncover the truth and catch a murderer loose in their fair city. Imagine a darker, less humorous version of Terry Pratchett's City Watch and you'll have a pretty good idea of what to expect of First Watch by Dale Lucas. All the familiar fantasy races are present in this buddy cop fantasy where the unlikely duo of Rem (a human newbie) and Torval (a grizzled dwarven Wardwatch veteran) are tasked to uphold law and order in the city of Yenara. Our main protagonists, Rem and Torval, are captivating characters in their own right. Rem is a runaway who came to Yenara to forge his own destiny away from the expectations of his father. 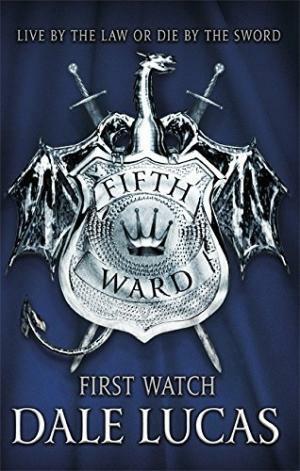 When he finds himself on the wrong side of the law, he jumps at the chance to join the Wardwatch when an unexpected job opportunity arises. His reluctant partner, Torval, is a gruff, world-weary dwarven Wardwatch veteran who lives by his own code. Torval has seen all the horrors the world has to offer and behind his gruff exterior hides a tragic past. Torval initially resents his new partner, but with time Rem earns his respect, even if it's reluctantly given. As Torval and Rem are tasked to investigate a murder they uncover something far larger at play. Bringing the culprits to book puts not only themselves in danger, but could also threaten the fragile peace that exists between the races. The pacing in First Watch can be somewhat uneven. It takes quite some time for things to really kick off, but as all the threads come together the narrative races to a violent, satisfying conclusion. The growth in Torval and Rem's relationship is what truly drives the story forward, and it is heart-warming to see how the bond between them solidifies. They both came to Yenara to reinvent themselves even if it meant going against social and cultural expectations. In each other they find a bond stronger than family. A home of their own making. First Watch is a solid buddy cop police procedural featuring an unlikely pair taking on the seedy criminal underbelly of a city filled with vice and corruption. The story is an entertaining read and the fantasy setting brings something new to the familiar buddy cop trope. While I thoroughly enjoyed reading First Watch it lacks that certain nuance and depth which could have elevated it to something truly special. That being said I'm keen to see more of Torval and Rem's adventures. I hope we get to see more of Queydon, the elf watchwarden, in the next installment. She would make an amazing addition to their team while adding some much needed female representation.